Have you ever bought a product that turned out to be defective after just a few weeks, or even the first time you used it? This might have happened because some products have been subjected to external factors such as temperature, humidity and vibrations that were not expected or otherwise taken into account when they were being designed; moreover, one often hears talk of “quality” and “reliability” as factors to be taken into consideration in order to make one’s products stand out from the rest. In today’s global market in which every product can be sold in the most remote corners of our planet, it is essential that the development and design phase takes into consideration the different environmental conditions to which the product will be subjected, from warmer to cooler climates, the effect of salt corrosion, and many other factors. In addition to the usage conditions, it is good to take into account the various stresses that the product may be subject to during packaging, transport and storage operations, which could cause damage or shorten the useful life of the product. 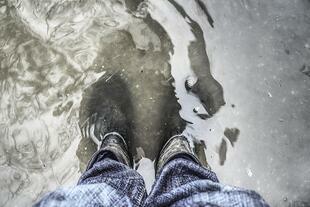 Can your product withsand all climatic conditions? So, what needs to be done to avoid these kinds of potential drawbacks and ensure greater product reliability? 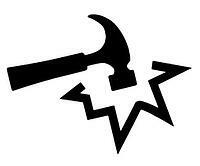 And which guarantees can be given to the customer? The apparently simple answer would be to test the product in all its usage conditions...but how can this be done? Actually, during the Research & Development phase many companies carry out tests on prototypes to check the reliability, testing the characteristics, stress resistance or simply the behaviour in the context of use. If these tests are not passed satisfactorily, one searches for the cause, or the defective component, in order to correct the problem. To clarify the main features of a climatic chamber, ACS has written an article to support the customer in the choice of the product. 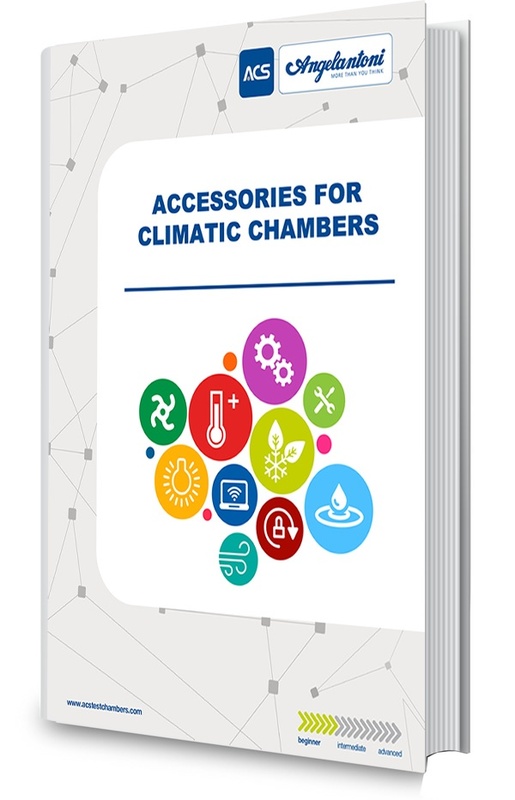 You will find all the information by clicking on the following link: "Practical guide to the selection of a climatic chamber". In a test chamber special conditions can be recreated inside the test compartment in which the prototype to be tested is positioned. In order to carry out the tests which belong to the first category a Climatic Test Chamber is necessary for Environmental Simulation tests. 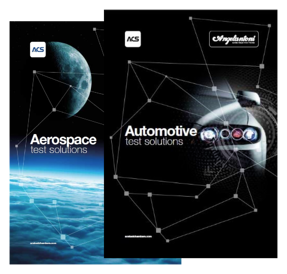 Download the free catalogues to discover the wide range of testing equipment offered by ACS for the aerospace and automotive industries. Click on the buttons below to learn more about testig applications for aerospace and automotive sectors. How does a climatic chamber work? 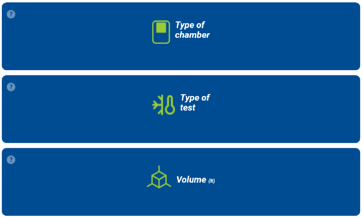 The operating principle of a testing chamber can be explained by the two phisical parameters that the chamber can control: temperature and humidity. In order to control the temperature, the chamber must be able to perform two functions: heating and cooling. It also must be able to evenly distribute the temperature inside the test compartment. 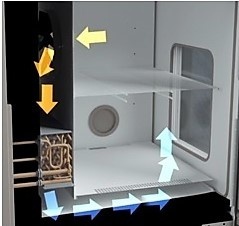 Specific technical considerations about the distribution of air within the test compartment make it possible to achieve great uniformity of the temperature values over time and throughout the space of the chamber, ensuring that all parts and surfaces of the DUT are subjected to the same temperature. By means of the compression and subsequent expansion of a refrigerant gas, the process will uniformly cool the test compartment. Do you need to know how to install your climatic chamber without any unexpected events? Click on the following link to red the article written by the ACS team in where you will find all our suggestions: "All you need to know for a correct installation of a climatic chamber". 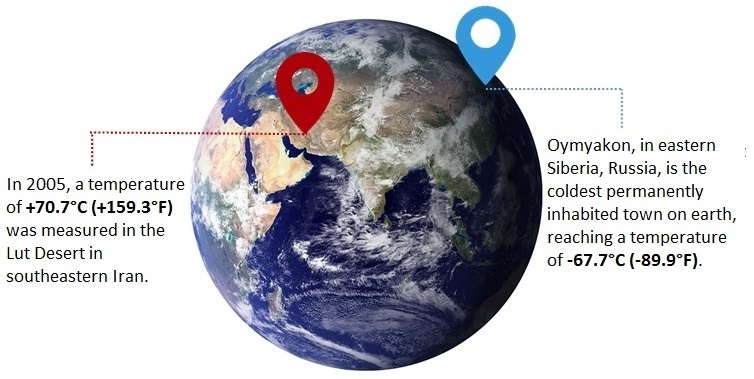 There are two minimum temperature values according to which climatic chambers are commonly classified: single stage, those with a minimum temperature of -40°C, and double-stage (i.e. 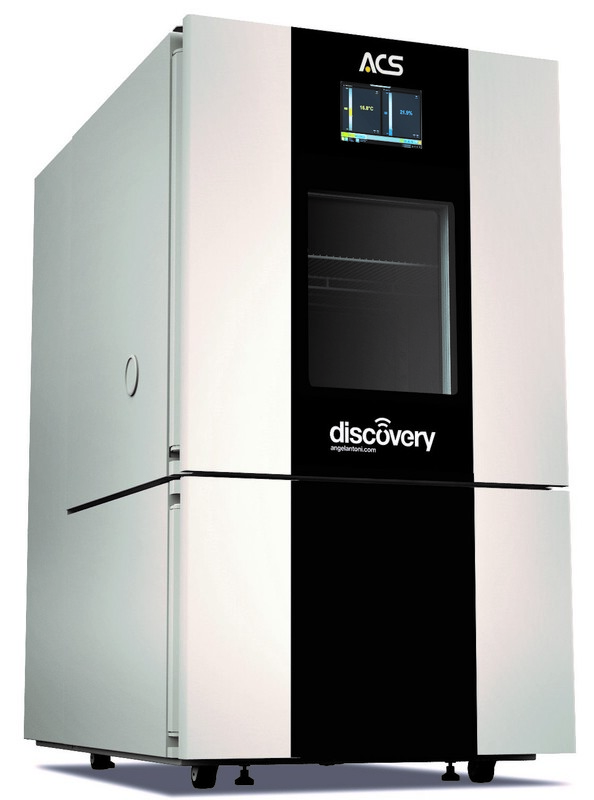 with a cascade system), with a minimum temperature of at least -70°C. The mechanical heating system consists of electric heating elements placed near the ventilation system: the heated air is conveyed by means of ventilation through the inside of the test compartment. The action of the two functions of cooling and heating is controlled by the PLC according to the cycle parameters set by the operator to ensure the required performance. In order to control the humidity, the chamber must be able to perform two functions: humidification and dehumidification. It also must be able to distribute humidity uniformly within the test compartment. Direct humidification is achieved by means of an electric humidifier, which injects steam through a hole in the air flow after the air recirculation fan. This ensures aerosol-free humidification. The humidifier is controlled by a dedicated algorithm for better reliability. 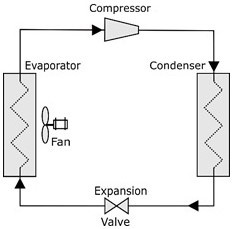 The chamber is dehumidified by a mechanical system based on the so-called cold finger principle, utilizing the same mechanical system used for cooling. 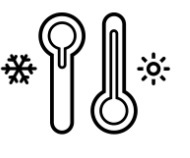 According to this principle, when an object with a lower temperature is exposed to a higher ambient temperature, the moisture in the air condenses on the surface of the colder object. The evaporator is the element with the lowest temperature inside the climatic chamber, and a dedicated section of this is thus used to lower the humidity levels in the test compartment when required. 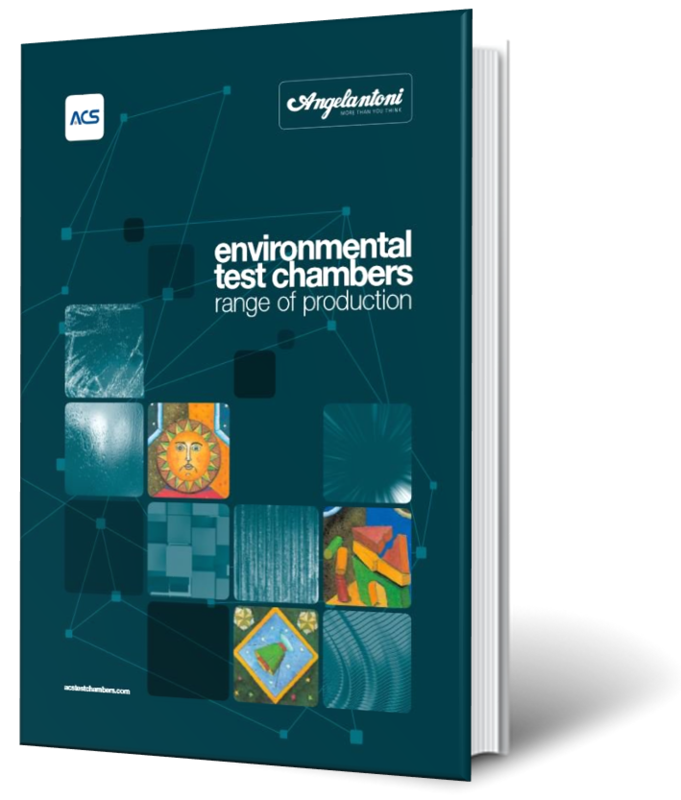 It must be said that there is no universal chamber that can simulate any and every type of conditions, but there are many types of more or less versatile chambers that are designed to perform specific types of tests. The particular test to be performed depends, firstly, on the product, the standards to which it must comply and the conditions in which it will operate.